There’s a charming review of BBC Sherlock on FlickeringMyth.com entitled Late to the Show — Sherlock you might want to read. I’m particularly impressed with how he manages to review the series without any spoilers. The author does, however, consistently make the mistake of referring to Sherlock Holmes opium addiction. Sherlock Holmes never took opium in any of the stories or incarnations. He did take seven percent solution of cocaine from time to time. And the only time Sherlock ever takes morphine, in the actual stories, is when he is received a serious injury requiring stitches. In fact, using any or all of the standard definitions of addiction, the only thing Sherlock Holmes appears to have an addiction to is solving crime. Lack of interesting cases has the deleterious affect on Holmes, not his drug use. He may not even have an addiction to nicotine, if we use the stories as evidence! Which is why I want to nail this “Sherlock Holmes was a drug addict” myth with a Buffy-sized stake through the heart (or double-barreled blast to the head of all the Sherlock Addiction Zombies, if you prefer). Exactly how many nicotine patches are you wearing right now, Sherlock? 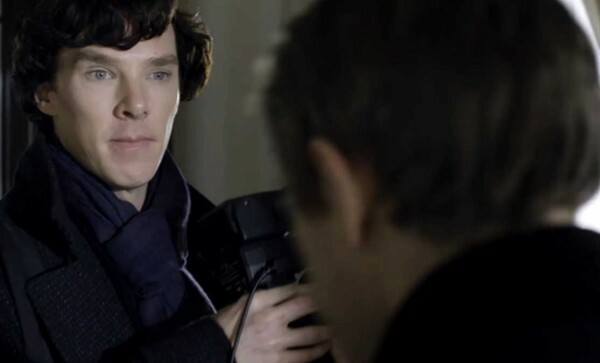 From the beginning of their relationship, Dr. Watson notes that Sherlock Holmes is not an addict, nor does he have the personal habits or behaviour of an addict. In The Sign of the Four, Sherlock does his masterful deductions about Dr. Watson’s watch being previous owned by Watson’s brother who was an alcoholic while high on cocaine. Sherlock uses the deductions to demonstrate that the cocaine has not dulled his wits. Also note that in Victorian England cocaine, morphine, and the other narcotic drugs were perfectly legal, required no prescriptions, and were in common usage. Laudanum was given to everyone from infancy to extreme old age as a painkiller! Didn’t you notice how I DIDN’T need the cigarettes in The Hounds of Baskerville once we had a case, John? Shall we discuss your browser history? Even nicotine, particularly in the days before the tobacco companies added addictive chemicals, can be used by many without becoming an addiction. A fact that drove my two-pack-a-day addicted mum crazy when my father would occasionally smoke. My father smoked during periods of extreme professional stress and then just stopped when matters were settled. For several years in my tweens, I would purchase an annual pack of Sobranie Black Russians to toke with trés sophistication at parties during the Holidays. The half-consumed, discarded pack would be found months later, stale and useless, in the back of a drawer. Meanwhile, my mum attempted to cajole people into smuggling a pack of any brand into the hospital ICU during her heart attack. That is addiction. For a fairly comprehensive look at drug use in the original stories, you might enjoy this article on the Fiction Press site. The end of the story: “For me,” said Sherlock Holmes, “there still remains the cocaine-bottle.” And he stretched his long, white hand up for it. 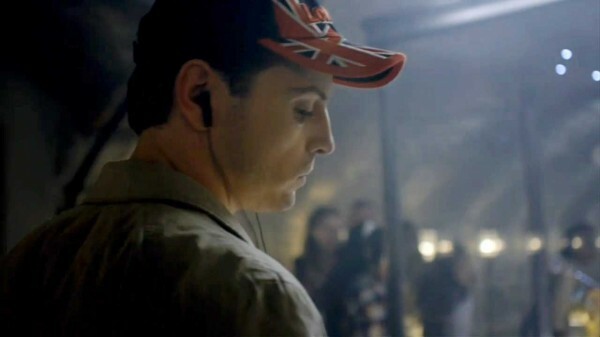 Notice that Sherlock does not use, nor even desires, cocaine while working on the case. He very much has a “take it or leave it” relationship with his needle. 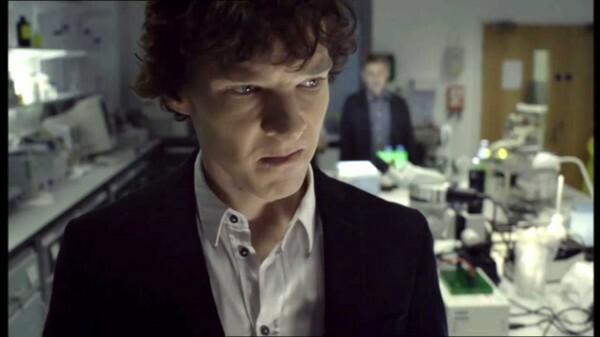 It’s been noted by several writers that Sherlock appears to be self-medicating a psychological disorder. the suggested disorders range from high-functioning Autism Spectrum (formerly called Asperger’s Syndrome) to Manic-Depression to Bi-polar Disorder. Certainly, Dr. Arthur Conan Doyle would have come across cases of these disorders when they were called things like “mania,” “melancholy,” and so on. It was not uncommon in Doyle’s days to treat people suffering from mental disorders with concoctions containing cocaine, morphine, opium and other fun things like arsenic and strychnine. The last two known for their “gingering up” qualities! These treatments came from both physicians and business people. They were often sold to the general public with ads in the papers. We now call these kinds of concoctions “snake oil” and “quack medicines.” In the days before consumer protection laws, anybody could sell you anything as a health remedy. Even today you can still buy St. John’s Wart as a homeopathic remedy for various ailments despite its now known damage to the renal system in surprisingly small amounts. Looks like my ‘Sherlock is an addict’ meme is working. I told him I’d burn him. But did he listen? Amazingly, Sherlock Holmes maintained consciousness and his wits under the influence of morphine. Watson should be thankful. Many people have an adverse reaction to any dose of morphine. It can cause them to hallucinate, become paranoid, or even become violent. And imagine what a hash a barrister could make of evidence given under the influence of morphine. Moriarty wouldn’t even have to extort the jury. Watson, on a mission of mercy for a patient and friend, finds Sherlock Holmes sitting in an opium den apparently in the thralls of the drug. 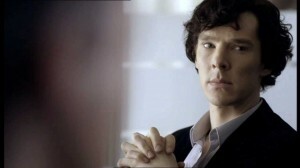 Sherlock, however, assures Watson that he is merely working on a case and has not taken any of the opium he’s purchased. It’s made clear in the story that Holmes is not even tempted to get high despite being in a room filled with an opium fog. This story was published as part of The Memoirs of Sherlock Holmes in either 1893 or 1894 (depending upon the source). The story makes it indisputably clear that Sherlock is NOT an addict. While Doyle makes a later reference (see below) that suggests Holmes declines into addiction, there is no actual evidence of this. In fact, the canon repeatedly references an increasing number of significantly sensitive cases for highly-placed clients. Holmes not only retains a high standard of mental and physical performance, but he is trusted to handle the most sensitive of matters — including top-secret government cases. That’s a pretty hyprocritical assessment for a man whose adrenalin “addiction” has caused him to give up his medical career for one of detective sidekick and blogger. This story was published in 1904 when the tide of opinion had turned regarding recreational narcotic drug-use. (Despite having fought two Opium Wars wars to force the Chinese to permit importation). And keep in mind, that Sir Arthur Conan Doyle, like Mr. Steven Moffat, had no qualms about throwing continuity or internal consistency out the window when it conflicted with emotional manipulation in his storytelling. Doyle was particularly cavalier about consistency after he was forced to bring Sherlock back from the dead. He even got characters’ names wrong! Doyle maintained an ambivalent attitude towards the character and his readers after The Final Problem. But even in this instance, Dr. Watson states “which had threatened once to check his remarkable career” and not “which destroyed.” So even when exaggerating Sherlock Holmes dependency, Doyle does not consign Holmes to the Edwardian equivalent of the Betty Ford Center. To repeat the point, Holmes manages throughout the entire length of his career, which doesn’t end until he is 60, to handle the most sensitive, confidential, and difficult cases for his clients without any loss of capability or trust. This is hardly likely of a “drug addict” even in the Victorian and Edwardian times. This is just one of the many reasons why, in my opinion, neither House nor Elementary are actually Sherlock Holmes pastiches or alternate universes. House quite obviously was taken more from stories of Dr. Joseph Bell, who inspired the character of Sherlock Holmes, than Holmes himself. Sherlock Holmes, however, is better known and would attract more viewers. Elementary appears to be written by the kinds of people who mistook googling and citing Wikipedia for actual research in school, and who mistake old crime show plots and character mashups for original screenplays. All of this “Sherlock Holmes is/was a drug addict” nonsense gained prominence after WWI, when Prohibition drove marijuana use to its all time high (pun intended) in the 1920’s. Between the wars, casual or recreational drug use was considered hip, urbane, sophisticated, artistic, and youthful. It went with jazz music, outrageous partying, excessive drinking, and flaunting conventional behaviour. Hence, Sherlock Holmes as Bohemian drug addict became an icon for a generation that grew up on the stories. By the mid-1930’s, attitudes shifted and recreational drug use was demonized, not including nicotine and alcohol. Prohibition was repealed in the States in time to help many handle the misery of the Great Depression. Not only did Basil Rathbone’s Sherlock Holmes films make no mention of the detective’s cocaine use, but a church group financed the creation of the most notorious anti-drug propaganda film of all time, Tell Your Children, known to most people as Reefer Madness. Needless to say, both the revival of “cool druggie” Sherlock and the film Reefer Madness occurred during the 1960’s/early 1970’s the Whatever-Gets-You-Through-The-Night-Is-All-Right-Hippie Madness of the Baby Boomers. By the time the This-Is-Your-Brain-On-Drugs War ramped up during the Greed-Is-Good-Cocaine-Is-Cool-Yuppie 80’s and 90’s, the meme of “Sherlock was a druggie” had become established. Let’s start dealing with facts and truth. In the canon, Sherlock Holmes never demonstrated the behaviour or clinical traits of drug addiction. Possibly poor judgement (although that is a 20/20 hindsight on our part), but not drug addiction. Whew! Got that off my chest. Now back to taxes. And if you find any of this interesting, please share it with others. This entry was posted in Captions, Other and tagged Andrew Scott, bbc sherlock, benedict cumberbatch, john watson, martin freeman, Sherlock Holmes on March 24, 2013 by JH Watson. 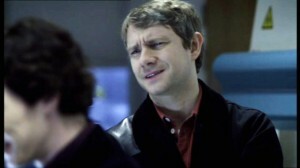 I agree with you about this “Sherlock being a drug addict” post. Research obviously was not done into the mores of the times when Doyle was writing. As to the clues of season two episode 3 (Or as I call them things that make you go mad. )-Mycroft has stated there are 4 assassins moved in around 221B, JM states there are three assassins hired to kill Sherlocks’ friends (Sherlock mentions the three friends). Sherlock when talking to John from the roof tells him to give his apology to Mrs. Hudson, Lestrade, and Molly. That’s 4 friends-Molly is not mentioned in the exchange between JM and Sherlock-like hes trying to tell John to talk to Molly. Thanks for defending our “Great Man” . I also look forward to finding out what was negotiated for the use of Baskerville. Whoever wrote this seems to have a hostile view of drug use. What is wrong with Holmes using drugs? Why must you contend that Holmes was not a drug “addict,” harping on the semantics of the word addiction, when in fact Holmes was a drug user during a period in time where drug use was not taboo as it is today. The character of Holmes was not only a drug user, but also a person who was inflicted with some type of mental illness which caused him create pain and sorrow from time to time, which fits with the symptoms of something like bipolar disorder. It is now widely known that people with mental illness are far more prone to drug use and abuse that those without mental illness. Just because ACD stories don’t have constant and numerous written instances of Holmes drug use, it is well established in stories like The Sign of Four that Holmes is indeed a habitual user of both cocaine and morphine. The fact that he injects both drugs intravienously is indicative of drug abuse and dependence. As this is established fact of the character of Holmes, we need not numerous instances of use, as it is implied as a result of the establishment of the character itself. If you met someone whom you knew to use morphine, but whom you only saw actually use the drug once, does that mean that you are to believe that this person rarely uses the drug simply because you rarely witness them use it? No, you automatically assume that the person uses habitually because of what you know about the drug itself, and because of what you know about the person and his or her drug use. It is not reasonable to declare Holmes was not a drug addict, when in fact his character was known to not only habitually use the drugs but also carry his own drug kit in his front pouch. Any incarnation of the character of Holmes without the aspects of his drug use, and more importantly the aspects of his drug use in the proper context of the late 19th century, is a pathetic attempt at capturing the mass appeal factor as a result of the sanitization of the character. Holmes injected cocaine and morphine into his veins, which is a very significant part of the personality and character of a human being, even if they are fictitious. Many of the worlds most brilliant people have been drug users. Human beings have been using the opium poppy for over 30k years, which is a time period linked with the first depictions of art by humans, as well as the beginning of complex thought for humans. We have been using both cannabis and opium long before we could even record history. The two plants are among the very first plants to ever be cultivated by human beings. Drugs are very much a part of human life and culture. There are few things that are more universally human than the consumption of mind altering substances. It is shame that some people are afraid to embrace that part of humanity, and it is a shame that some people are hypocritical about drugs, like people who drink alcohol, which is the worst drug of all. Uhm, a bit sensitive and defensive there, aren’t you? First, read the piece again. The point is that Sherlock Holmes, in the canon, is not a drug addict. It states quite clearly that he used drugs, and for various non-medical purposes, unless we count self-medicating psychological issues. Drug use is completely different from drug addiction. This is the point I wanted to make. I strongly object to the classifying drug use as the same as drug addiction. Drug use is NOT the same as drug addiction. And not everyone who uses drugs for recreational uses, including alcohol, are drug addicts. Drug Use ≠ Drug Addiction. As for my personal drug use, aside from my prescribed medications, I freely admit to a caffeine addiction. When I choose once a year to go cold turkey I suffer all of the problems of an addict – headaches, irritability, restlessness, and so on. This is one of the reasons I choose to go cold turkey for several weeks each year, to maintain some control over my need for caffeine. As for recreational drug use, I happen to live in a state that has decriminalized marijuana (although no one seems to have figured out how to legally obtain the pot…). And given my age, I’ve seen the entire gamut of drug use and abuse. (Which is why, given my tendency to overreact to medication and my strong desire to retain control of brain, I was never tempted to experiment heavily even with alcohol. Recreational drugs, including alcohol, tended to make the consumers stupid. Really stupid. As in incapable of reading a post that actually supports their argument for casual, non-addictive, recreational drug use and understanding it. Please see large amounts of social media posts for supporting evidence that the stupidy while under the influence continues.) This is why I object to classifying Holmes as a drug addict, instead of an occasional drug user. Good luck with your paper! There are more sources for this discussion than I can possibly cite. Here are a few starting points and a link to 100 Academic Search Engines for further research. I hope that helps! And thanks for stopping by! I will surely use this in my research :). if you look here http://www.victorianweb.org/authors/doyle/addiction.html you will notice that addiction did not have quite the same meaning or reputation as it does today. It was implied in a few stories that Sherlock had an inclination towards cocaine use. Yes it was a 7% solution but that is still constant usage, which is how they defined addiction, not whether or not it was compulsive. Definitions change over time and you have to make sure you clarify if you mean in today’s society he would not be considered an addict or if you are talking about the Victorian age. Sherlock went extremely cold turkey in the most recent episode, so he does officialy classify as a drug addict (intravenous use). Bad boy indeed. As a physician, Watson strongly disapproves of his friend’s cocaine habit, describing it as the detective’s “only vice”, and concerned about its effect on Holmes’s mental health and intellect. In “The Adventure of the Missing Three-Quarter”, Watson says that although he has “weaned” Holmes from drugs, he remains an addict whose habit is “not dead, but merely sleeping”.